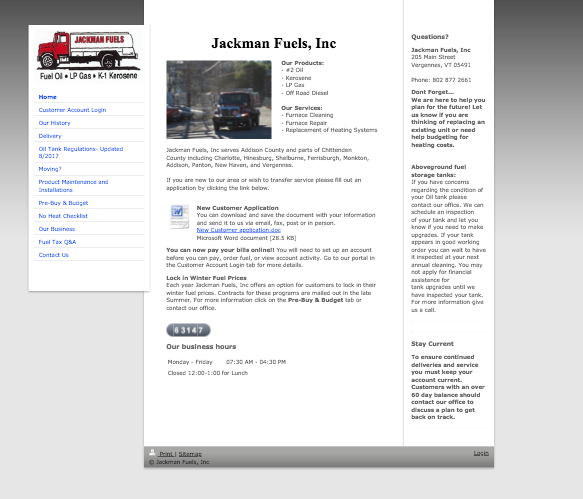 Jackman Fuels Inc is a company that provides heating fuels to businesses and residential customers in Vermont, USA. They've been in operation since 1945 and have a well established reputation with the local community and service over 4,000 customers. Their website was previously built with a 'website builder' provided by their hosting platform. The look and feel of the website was outdated and not-mobile responsive. Additionally, the content of the website was not optimised for SEO (Google), resulting in low search ranks for their products and services. Deliver a modern, mobile responsive, and beautiful website that would reflect their brand. Make it easier for people to apply online to become new customers. Improve their search rankings in their local city as well as neighbouring areas. In order to deliver a great website, we started from scratch. The new website is built on a flexible and scalable platform (WordPress) that will ensure it never goes out of date. The old website had a downloadable Microsoft Word document that served as an application form. This made it difficult to use because it required the user to download the document, complete the form, and email it in. 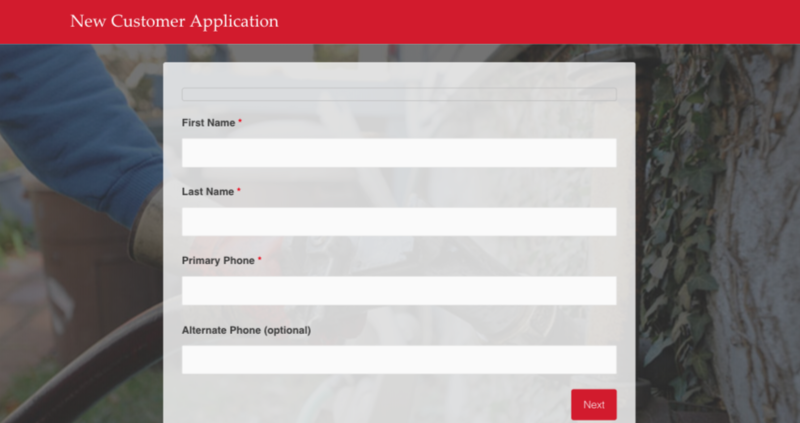 In order to make it easier for users to complete this valuable action more easily, we designed a simple, multi-step online form that would be easy for the user to complete on any device in about 1 minute. In the first month after launching the new website, there was a 92% increase in the number of applications received online! Making it easy for customers to convert is critical to driving website value. One of the biggest items we had to tackle was the current search engine rankings for important keywords relating to products and services. Due to the structure and content of the old website, it didn't rank well for very much outside the direct business name. 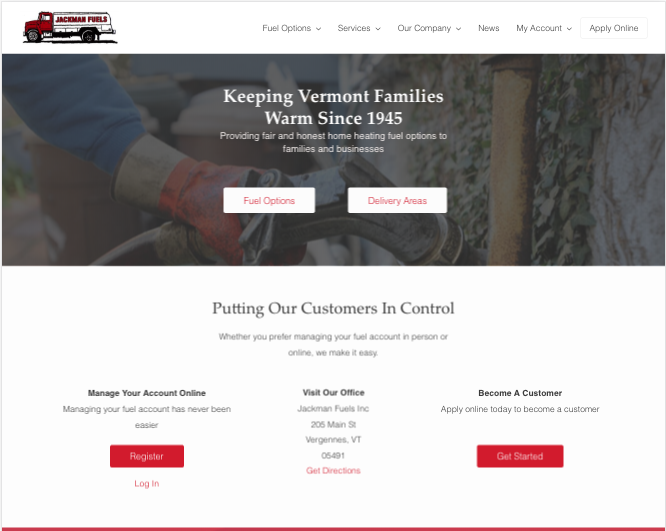 In order to appear for users that were searching for products and services (fuel oil & propane primarily), we structured the website and crafted content that would send the right signals to search engines. Our main goal was to improve the ranking of the Organic results (normal search results), and any improvement in Local Pack results (local map listings) would be a bonus. In order to assess the performance of the new website, we used BrightLocal's localised search results tool to obtain the 1st page results for 10 target search queries. We compared the results from 20 August 2018 (old website) to results from 29 October 2018 (new website) to see how the rankings in Google were affected just 10 days after launching the new website. As you can see, the improvements that we achieved across a range of search queries we expect potential customer to use are significant. With only 2 queries in the 1st position and 60% of the queries not even on the 1st page of the results, the old website was simply not ranking well enough. By implementing SEO optimisation across the website, we were able to achieve a 250% increase in top rankings (with some #1 positions going to Wikipedia), and we were able to get 100% of the keywords on the 1st page, with just 1 keyword falling out of the top 2 positions. Additionally, we saw a 300% increase in the number of top local pack positions, with 9 out of 10 search queries delivering top spots. Overall, this was an excellent result that will drive great long term value for Jackman Fuels Inc.